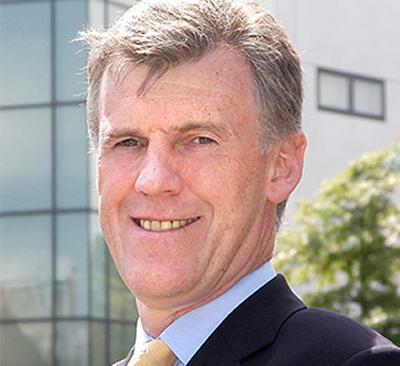 Minister for Universities and Science David Willetts has announced the appointment of Professor Philip Nelson as chief executive and deputy chair of the Engineering and Physical Sciences Research Council (EPSRC). The EPSRC is the UK’s main agency for funding research in engineering and the physical sciences investing around £800 million a year in research and postgraduate training, to help the nation handle the next generation of technological change. The appointment is for four years. Professor Nelson will take up his post on 1 April 2014 as the permanent successor to Professor Dave Delpy. Professor Nelson’s appointment was made following an open competition. Professor Nelson is Professor of Acoustics at the University of Southampton where he served as Pro-Vice-Chancellor for Research and Enterprise from 2005-2013, as Director of the University’s Institute of Sound and Vibration Research (ISVR) from 2001-2005, and as the founder Director of the Rolls-Royce University Technology Centre in Gas Turbine Noise from 1999-2001. He also served as President of the International Commission for Acoustics from 2004-2007. A graduate of Southampton, Professor Nelson remains an active researcher, having worked mainly in the fields of acoustics, vibrations, signal processing, control systems and fluid dynamics. He led the University’s submission to the 2008 Research Assessment Exercise and 2014 Research Excellence Framework. He is currently chairing the General Engineering sub-panel for REF2014. Professor Nelson is a Chartered Engineer, a Fellow of the Institution of Mechanical Engineers and a Fellow of the Royal Academy of Engineering. The director of a number of spin-out companies, Professor Nelson has served on the CBI South East Regional Council as well as the boards of the University of Southampton Science Park and of the ‘SET-squared’ partnership of Southampton, Bristol, Bath and Surrey universities. In 2013 he co-founded the Science and Engineering South Consortium of research-focused universities including Oxford, Cambridge, Southampton, Imperial College London and University College London.